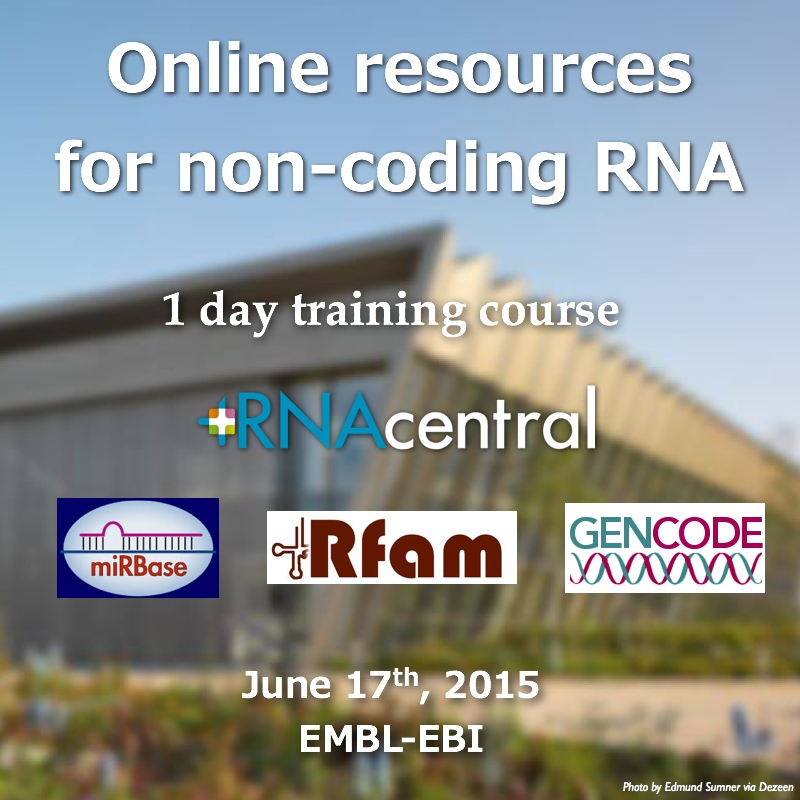 Are you using RNAcentral, miRBase, Rfam or GENCODE in your research? Would you like to learn how to use these resources to their full potential? Then this one day training course may be just for you! Update: Course notes are now available. Held on June 17th at the EMBL-EBI campus in Hinxton, Cambridge, this course will offer a mixture of short talks and hands-on exercises led by people behind these four databases. The course will give an overview of the types of ncRNA data that are available in each resource and introduce the tools for searching and exploring the data. There will be plenty of opportunities for direct interaction with database developers so that you can get the answers to your burning ncRNA questions firsthand. There are no prerequisites: anyone familiar with web browsing and an understanding of basic molecular biology is welcome to attend. Full course description and registration details can be found at the EBI Training website. Register now for the course and let us know if you have any questions on Twitter or via our website.